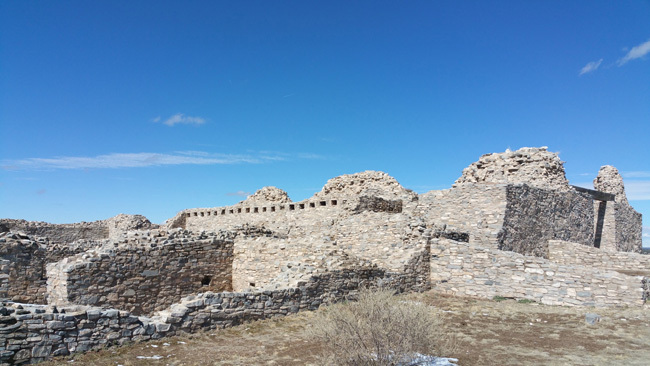 The three awe-inspiring sites that make up the Salinas Pueblo Missions National Monument stand as reminders of a unique time in North American history. 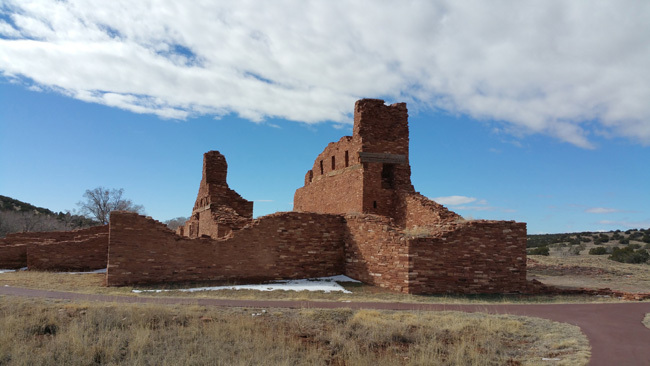 In the early 1600s, Spanish Franciscans established missions at Abo, Gran Quivira, and Quarai, and enlisted the Pueblo people to construct massive churches. 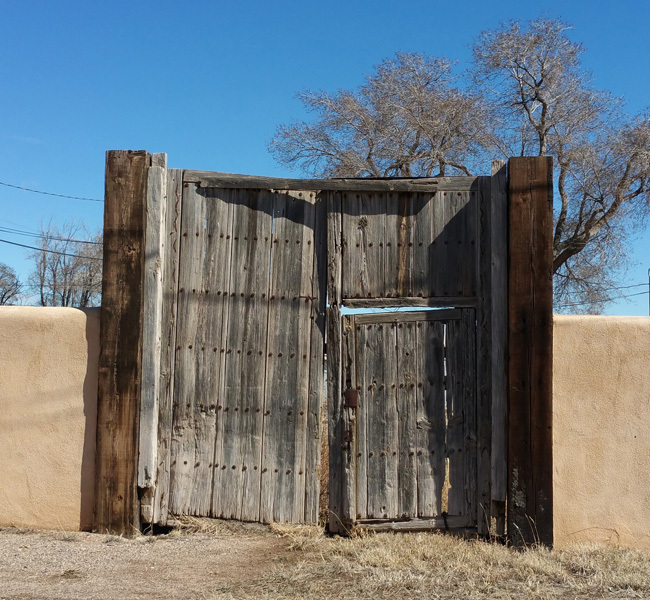 I'd spent less than 24 hours in New Mexico, but I was already in love with the state. 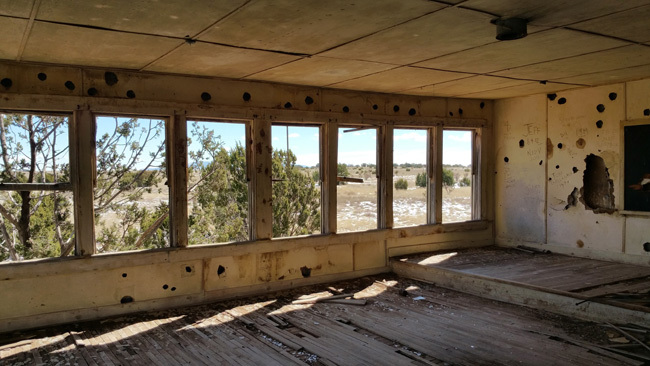 After exploring an abandoned truck stop and motel, I spent the night at a cozy rest area with heated bathrooms, a real treat since it was pretty blustery outside. I got an early start the next morning and arrived at Abo just as the site opened. It was a cold morning with snow on the ground and bitingly cold air. A friendly ranger in his 60s with short cropped white hair and glasses walked the grounds as I arrived. 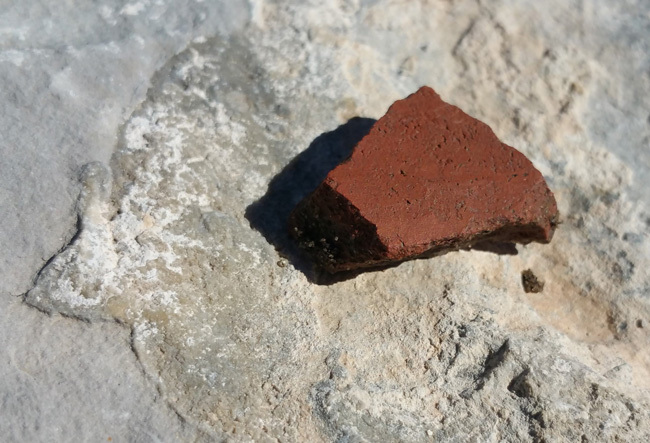 He was very friendly and told me the history of the site. I was the first visitor of the day and was able to explore the beautiful site and take photos without having to worry about capturing tourists in my shots. It wasn't until I left, about an hour later, that another car pulled in. 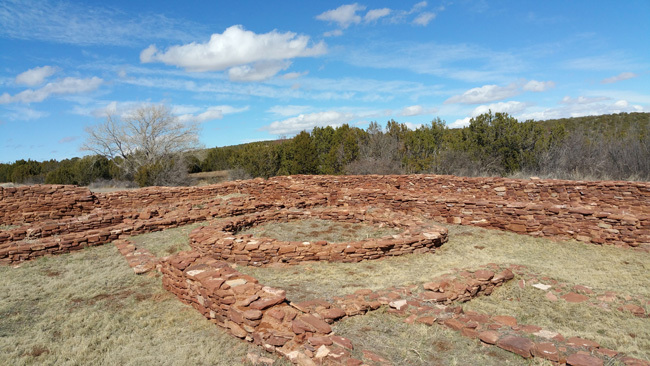 A circular Kiva, or sweat lodge, used by the Pueblo people for traditional religious ceremonies. 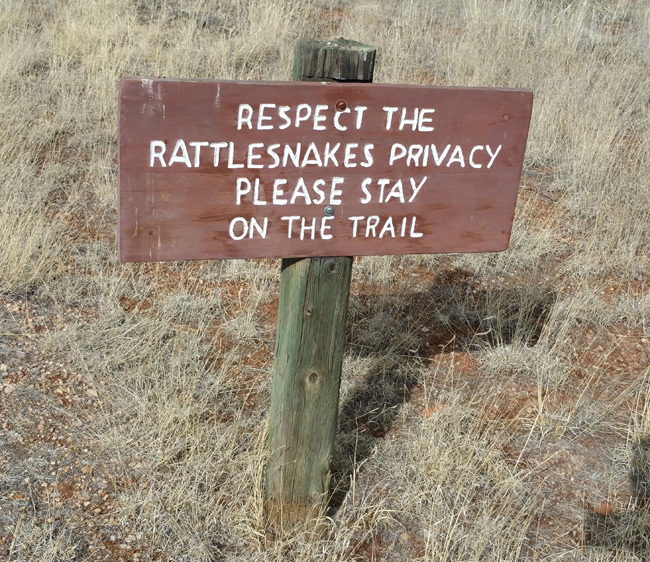 Proof that the National Park Service has a sense of humor. 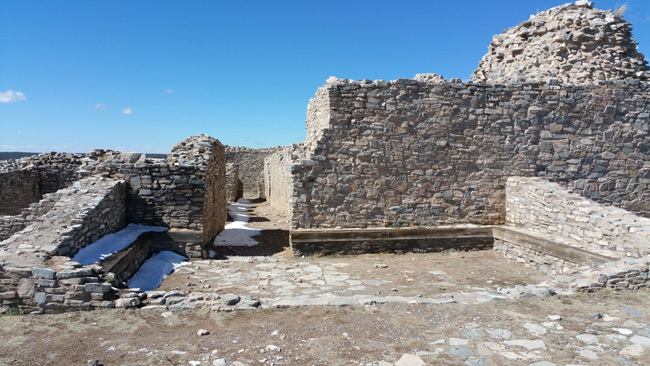 After exploring the ruins of Abo, I headed to Gran Quivira, the largest of the Pueblo missions. I was the first visitor of the day at that site too. The ranger, a 65 year old woman with dark red hair and an East Coast accent, was extremely knowledgeable and very friendly. Because I was the only visitor, she gave me a 1-on-1 walking tour of the entire site and told me quite a bit about its history. 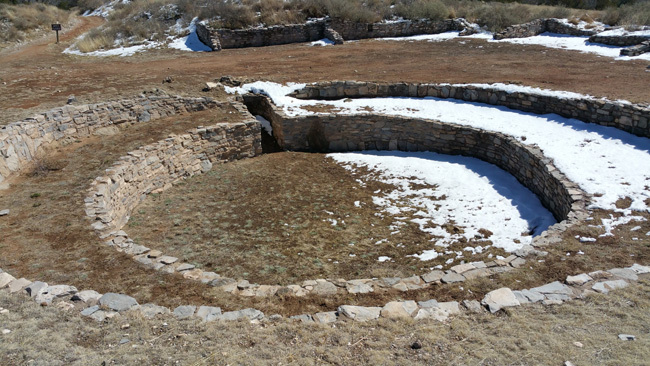 Gran Quivira began as a cluster of pit houses 1200 years ago. Pit houses were dug into the ground with wood roofs covered in layers of earth, accessed by a ladder that led to a hole in the ceiling. 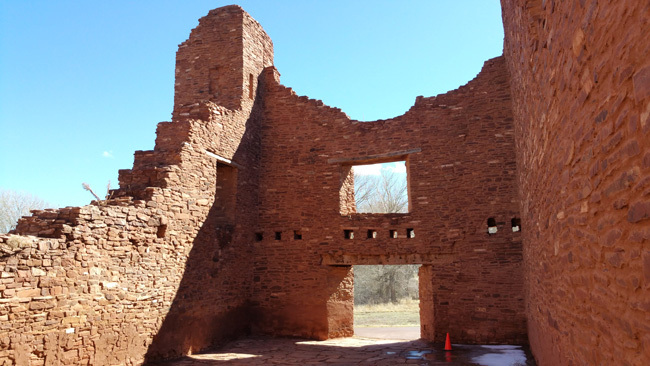 They served as the typical dwelling of the Pueblo people before the Spanish came and introduced the concept of doors and windows. 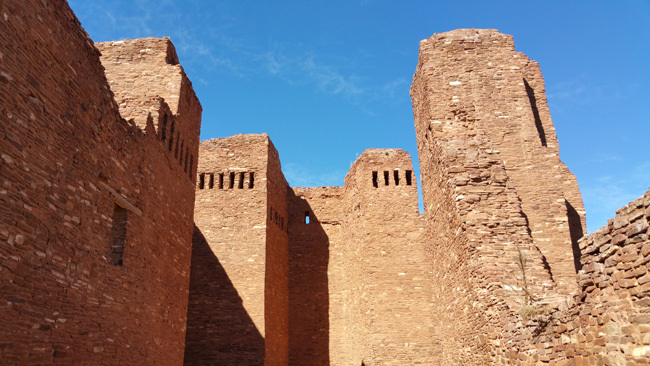 Home to 1500-2000 people, Gran Quivira was an important trade center and remained so after the Spaniards arrived. 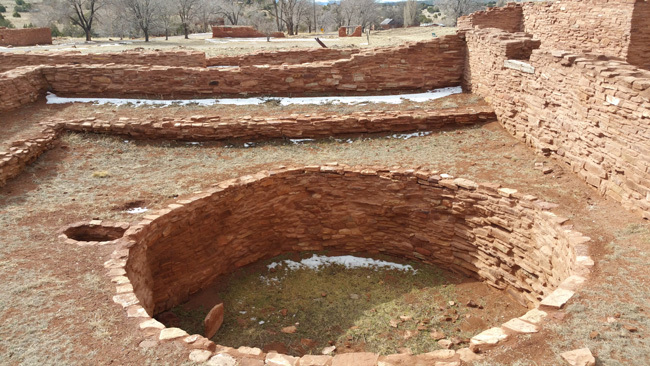 The Pueblo people struggled to maintain their way of life despite drought, disease, famine, Apache raids, and forced labor required by the church and the colonial government. 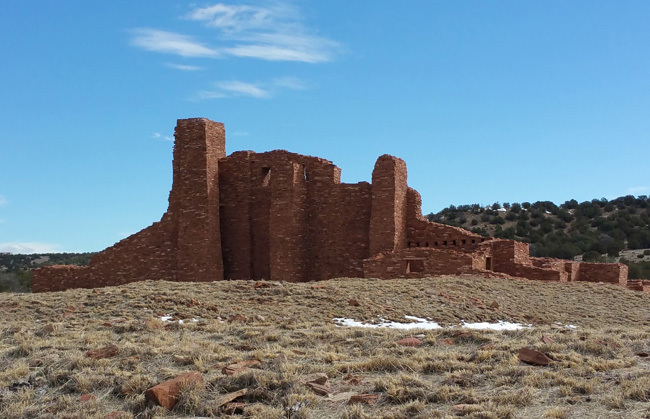 Christians outlawed native religious practices, including the use of Kivas, but such practices continued in secret. 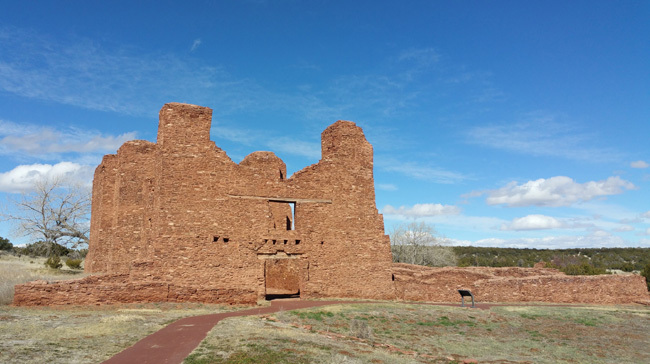 The Pueblo people witnessed friction between the church and colonial government, revealing weakness and opportunity for rebellion. 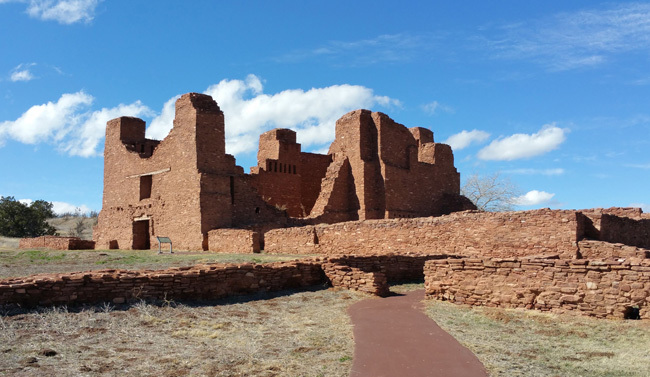 Esteban Clemente, a Pueblo leader plotted a revolt in 1672, but was discovered and executed by the Spanish. 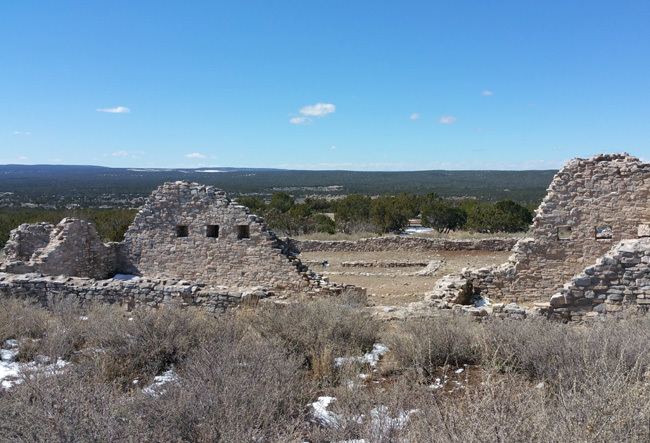 Eight years later the Pueblo people united and drove the Spanish out of New Mexico. The Spanish didn't return to resettle the Salinas area until after 1800. 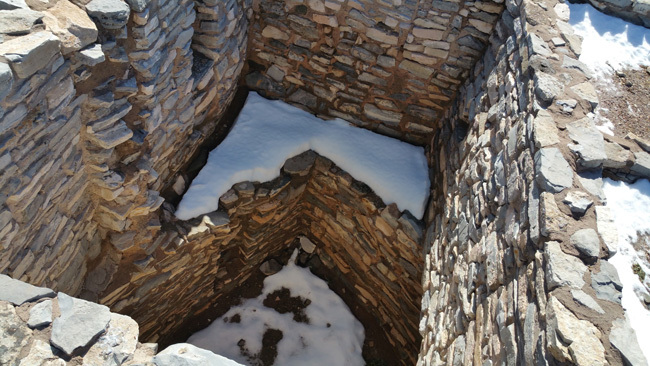 The square holes along the top of the walls were used for wooden support beams. 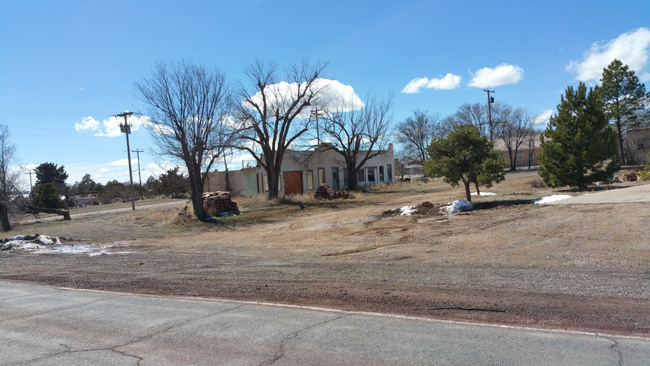 The Pueblo workers had to chop down trees from a distant site and then haul them to the settlement. 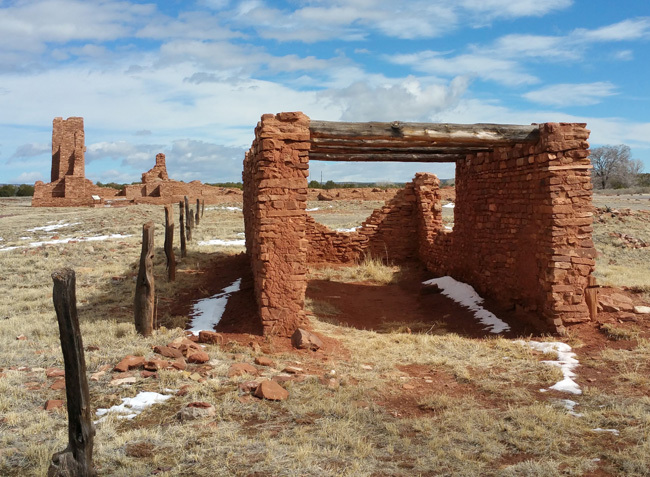 The missionaries were very strict and did not allow the wood to touch the ground, else it could not be used in the construction of the church. 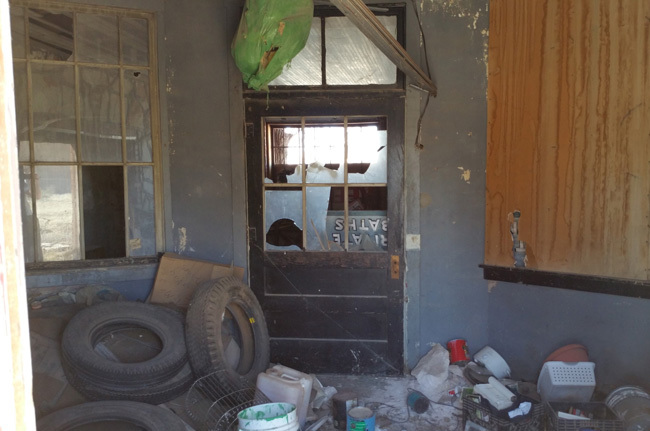 After the tour, I stayed to enjoy the warmth of the ranger station and talk to the ranger for a little while longer. She was such a sweet lady. She said she'd been working for the Park Service for five years and it was her favorite job she'd ever had. She told me the National Parks department was currently hiring, and asked if I was a veteran. I told her I was not, and with a touch of disappointment she added that veterans get hired first. 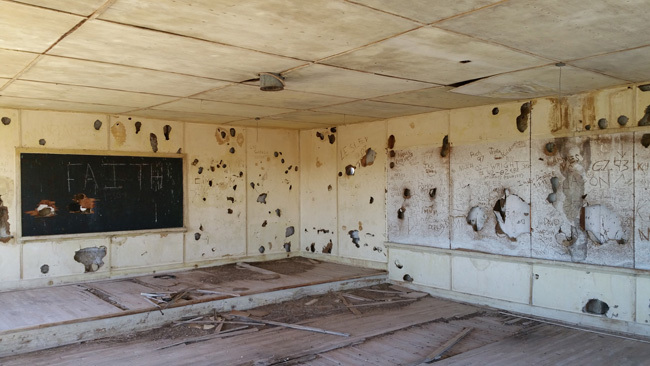 After leaving Gran Quivira, I stopped to explore a little abandoned schoolhouse on the side of the highway. 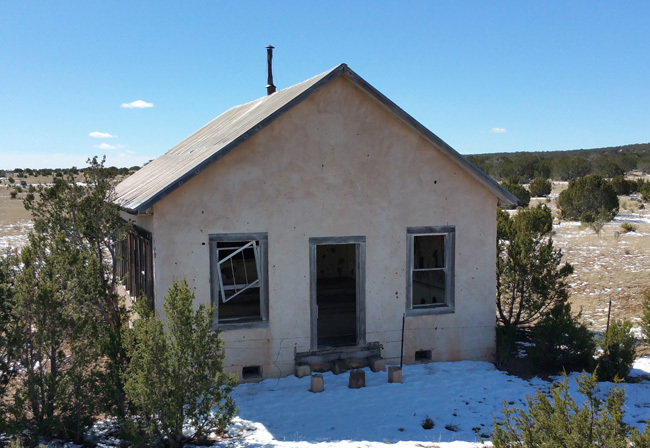 On my way to Quarai, the third Pueblo mission site, I passed through the town of Mountainair, where I stopped to check out a few recently abandoned buildings. I couldn't resist taking a picture of the sign for a medical services center that I'm guessing is only open for a few days each month, and has terrible customer service. By the time I arrived at Quarai, there were at least half a dozen other visitors already there, which meant I didn't get to talk 1-on-1 with the ranger. 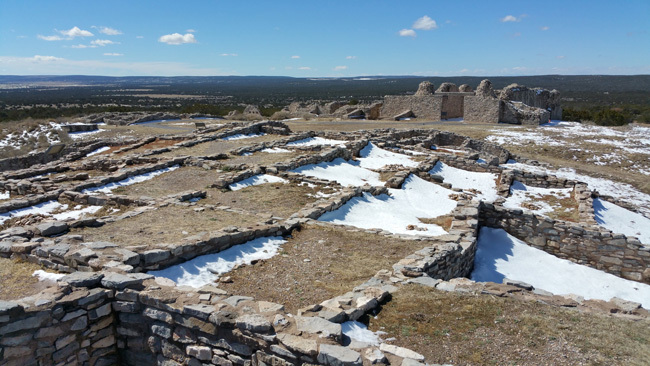 I didn't mind too much, since I’d been fortunate to have such great experiences at the other two Pueblo sites. The sun had begun to warm the air, and I wandered around Quarai for a while, enjoying the beautiful scenery. 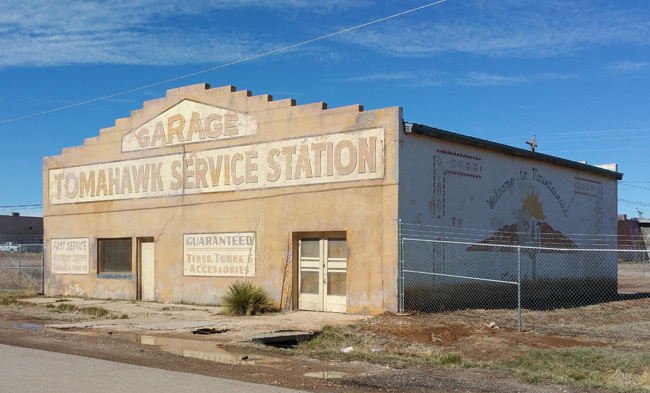 With less than a week remaining before I had to be back in LA, I didn't have enough time to give New Mexico the thorough exploration it deserved. Hopefully I'll get to return someday soon. 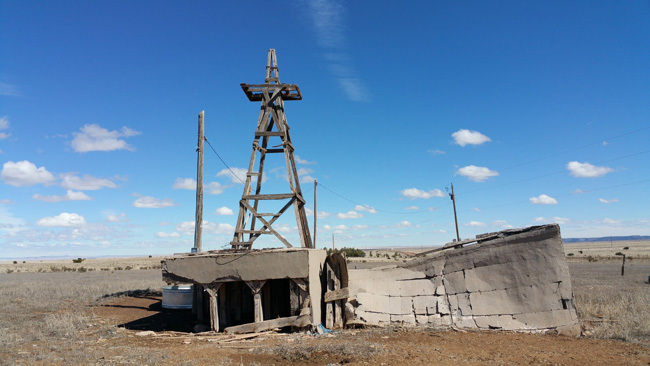 I headed north to Colorado, where I explored some amazing ghost towns. Come back next week and I'll tell you all about them. I'm always left hoping you win the lottery or something. It would be so neat if you could just continue on your journey forever. 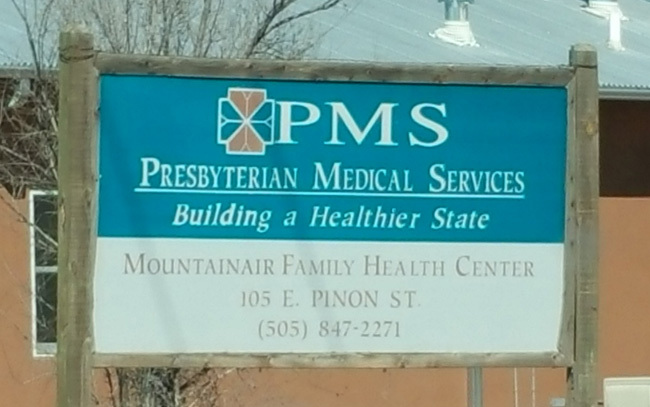 I laughed at the PMS medical facility. Up in the Upper Peninsula, there is Finlandia University and if you go to their school of business, you can get a sweatshirt that has "FU SOB". I don't think some of these places think that out very well...... or they have one heck of a sense of humor!! Have a very Happy New Year, Jim. May the open road call, and the wallet deliver!!---LOL! You read my mind, Sue. If I won the lottery the first thing I'd do is hit the road for a few months. I never get tired of exploring, and it would be amazing to do it without any time or money constraints. I would love to visit India someday. My husband (also named Jim) was born in Mountainair. 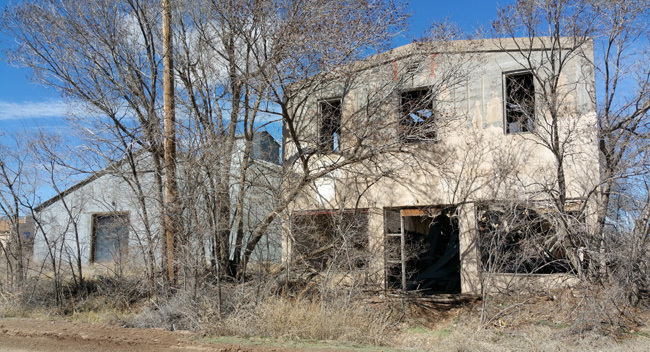 We live not far from there now in Moriarty (not a ghost town yet). 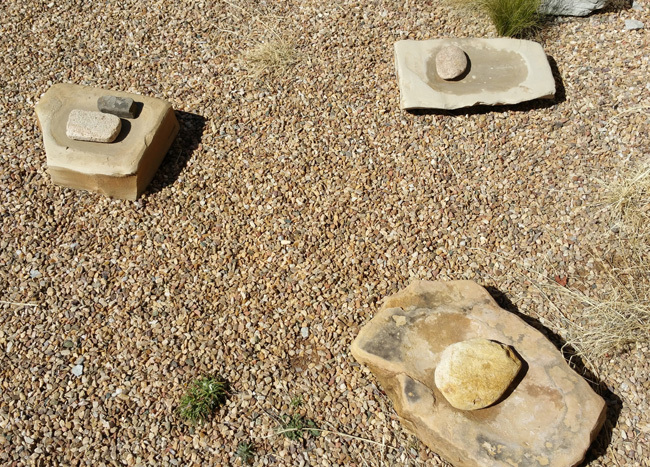 We visit Mountainair often as my husbands family is all buried there, and we will be too someday. 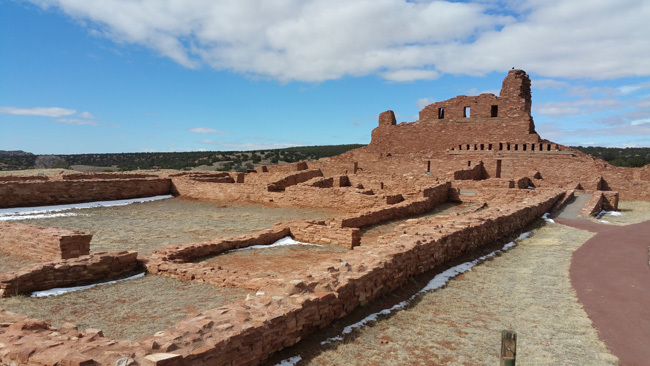 We also go to the Salinas National Monument quite often, they are beautiful places. Awesome! I need to go back to NM at some point. There are so many great places I didn't get to see while I was there. "I couldn't resist taking a picture of the sign for a medical services center that I'm guessing is only open for a few days each month, and has terrible customer service."